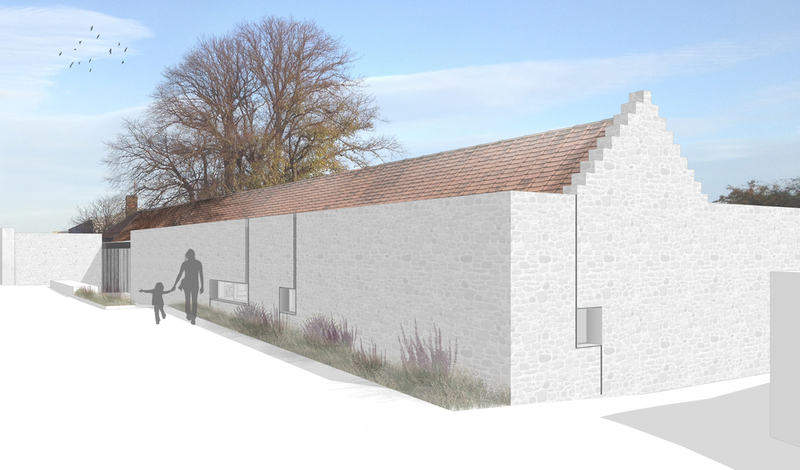 WTArchitecture designed this conversion of a farmyard steading in Gullane, East Lothian. The design preserves the existing facades and structure of the ruined building, maintaining its character while allowing a sustainable contemporary home to be created within. New openings are carefully targeted to ensure that the solidity of the wall predominates. On the garden side, the existing greenhouse will be replaced with a glazed bay that contrasts with the solidity of the restored stonework. Planning permission was received in February 2015, and the project is currently on site.